GPON ZyXEL OLT 2406 Series provides up to 1024 FTTH subscribers with four PON line cards that support four ITU-T G.984 GPON fiber links or four GbE line cards for 16 active non-blocking Gigabit Ethernet fiber links. 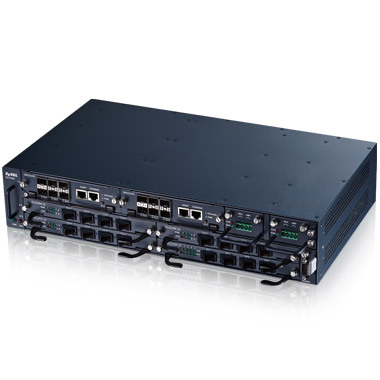 The GPON line card supports the split ratio of at least 1:64, while each of the four SFP slots supports both class C+ and class B+ transceivers for different service reaches. 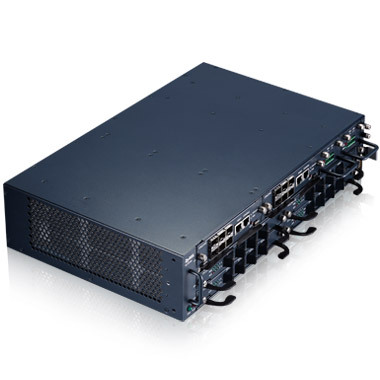 The temperature-hardened design allows service providers to install OLT2406 Series in street cabinets to provide services for more subscribers.